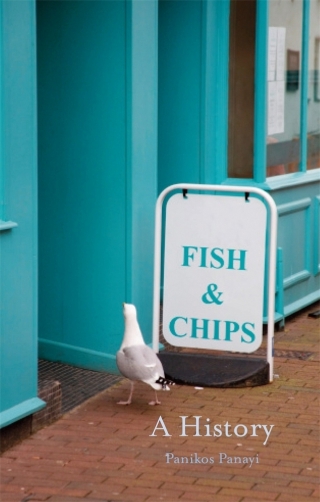 Along with red London buses, bowler hats and cricket, few things are considered more British than fish and chips. Sprinkled with salt and vinegar, fish and chips were the country’s original fast food. This innovative and well-researched book unwraps the history of the UK’s most popular takeaway, a story that brings up complicated issues of class and identity. Although we think of it as quintessentially British, fried fish was first introduced and sold by immigrant Jews before it spread to the British working classes during the course of the nineteenth century; by the twentieth century other migrant communities such as Italians and Greek Cypriots were playing a leading role in the fish and chip trade. Technological and economic developments transformed its component foods into items of mass consumption. It reached the height of its popularity in the first half of the twentieth century and, despite the arrival of new contenders for the title of Britain’s national dish, it remains a popular takeaway. Brimming with facts, anecdotes and historical and modern images, Fish and Chips will appeal to all interested in the story behind one of the world’s most iconic and popular meals. Panikos Panayi is Professor of European History at De Montfort University, Leicester, and the author of Spicing Up Britain: The Multicultural History of British Food (Reaktion, 2008).